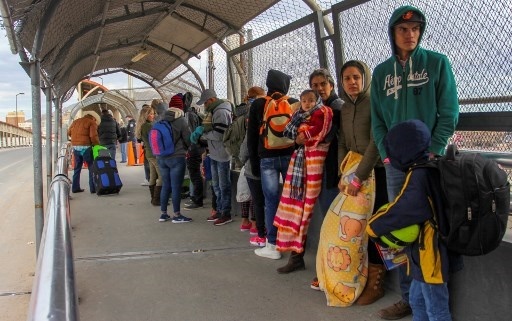 A US federal judge on Monday blocked US President Donald Trump's policy of returning asylum seekers to Mexico to wait out the processing of their cases, saying the Department of Homeland Security had overstepped its authority. In his 27-page ruling, Seeborg said at issue was not whether the MPP is "a wise, intelligent, or humane policy" but rather whether it exposes aliens to "unduly dangerous circumstances". He noted that the plaintiffs in the case were not challenging the "system" of expedited removal. "Indeed, in essence, plaintiffs are arguing that because they are subject to expedited removal, they should at a minimum have the protections they would enjoy under that regime, either by being exempt from contiguous territorial return, and/or by having additional procedural and substantive protections against being sent to places in which they would not be safe from persectuion," the judge wrote.